Home Costs > How Much Does Sewer Hookup Cost? A sewer hookup is usually done when a house is first built, but it can also be done during a home renovation project where additional pipes may be needed. This type of procedure can take days depending on the soil and weather conditions. These sewers, owned by the city, will take your wastewater and flush it from your home to a central treatment facility. How much does a sewer hookup cost? 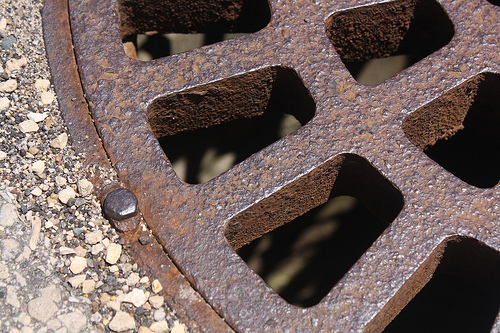 The price of sewer hookup can range anywhere from $3,000 to $9,000. The costs will depend on how far the sewer is from the house, what sewer company you use, how deep they have dig past the frost line, how accessible the area is with a backhoe and how they have to tie into the line. For example, in some rural areas, a 50-foot line can cost about $3,000 to $4,500 to connect to the sewer line at the road. “Buy-in” fees, which are the fees you have to pay for the “right” to connect to the line can run well into the thousands, depending on where you live. These fees, once paid, won’t even include the installation fees at all. The lesson here: Don’t be surprised if your hookup fees are north of $5,000+ In Ontario City, for instance, the cost to hook up to the sewer was $2,835 per acre. According to Cecil County in Maryland, the cost can range anywhere from $4,500 to $5,000, in addition to the original charge of $3,000 to $4,500. The development cost to have the procedure done can now range from $6,000 to $9,000 depending on the area where it will be performed. In Elko, Nevada, the cost to have water hookups in the area can range anywhere from $3,680 to $4,120 depending on the size of the house. However, they will charge additional fees for other utilities as well. Someone on Angie’s List said you should be prepared to spend about $1,500 to $3,000 for an average sized home to connect to a city street, but it could be more if the line needs to be longer than usual. On this city-data.com forum thread, a forum member claimed their brother had paid to fill in an older septic tank and trench a new sewer pipe from the house to the street for $4,000. This didn’t include $4,500 capital recovery fee the city of Austin, Texas, charged. This forum thread on FineHomebuilding.com talked about how his mom was charged $100 per foot to trench to the road, bringing the costs close to $10,000. This didn’t include the $3,500 recovery tax the city charged. Where you live can affect the price of hooking up to the sewer’s main line. In some homes, for example, hooking up to the sewer may be the HOA or city services responsibility. Most of the time, however, single homes will be responsible for the costs, while multi-family units and condos may be able to offset the costs with the HOA. The distance between your home and the connecting line will be the biggest pricing factor. The further away it will be, the more materials and labor will be required. Take a look at the home to the street for a second. If any obstacles, such as trees or landscaping, needs to be removed, then this could bring up the costs in two ways since the professional will need to remove this landscaping and you will need to replace it after the job is complete. If you’re replacing the line to the sewer, then you the installation process can be a bit more complicated if the pipe has to be removed. Installing the water meter can often be considered a separate charge, usually $350 to $850. If the city isn’t in charge of your installation, then you may need to prepare for permits before the job begins. Regardless of where you connect, every city will have some sort of regulation when connecting. Once you’re connected to the line, be prepared for a monthly, quarterly or annual bill, usually averaging about $600 to $3,000 per year, depending on where you live. Check with your local government if they offer any type of assistance program that can help you save money or even for those who are on a limited income. Connecting to a sewer line can be done by a plumber, general contractor or sewer contractor. When hiring it out, make sure you get at least three quotes from licensed and reputable companies in your area. If you don’t have the time or know where to start, consider getting multiple quotes from HomeAdvisor.com for free. Simply explain your job and contractors will be able to offer you a customized quote. Depending on your situation, a septic tank may be an alternative process to consider.